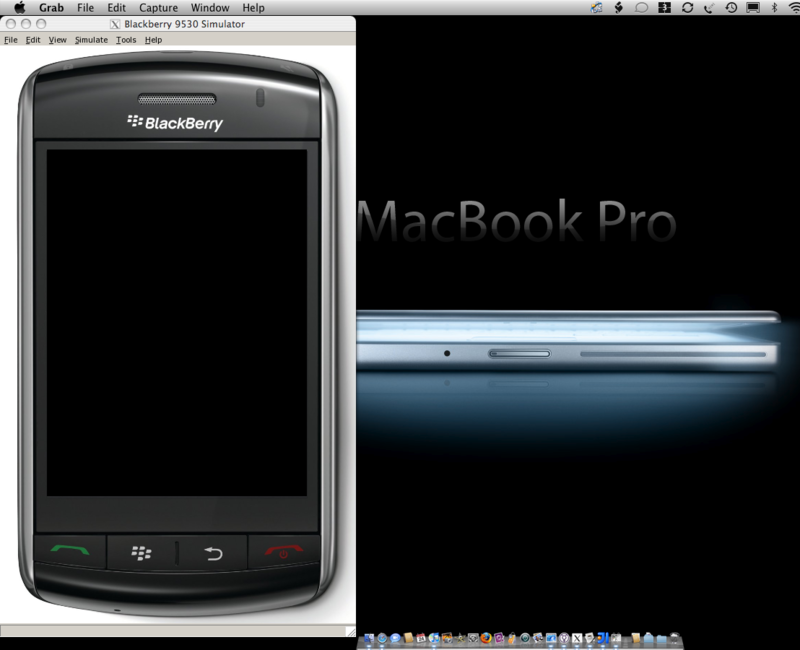 Blackberry Sims running on OSX! I have a feeling there are a few other sims that work (try BlackBerry_Simulators_4.6.1.79_8350i.exe also listed in the example) but YMMV. …And you’ll need to install MDS as well if you want any network access. Fortunately that’s not difficult at all. Just make sure you have JDK6 if you’re running a later version of MDS and recode the run.bat as an equivalent run.sh. I’ve got the cod files compiling in Xcode but am having trouble running the simulator on OS X. I’ve been working off the link you gave for the sim download. macports isn’t working for me on snow leopard due to a compiler failure. Ideas?